The Hokuriku Shinkansen launched in March this year connecting Tokyo to Kanazawa, come March 2016 there will be another Shinkansen launch when Tokyo gets linked with Hokkaido via the Hokkaido Shinkansen. 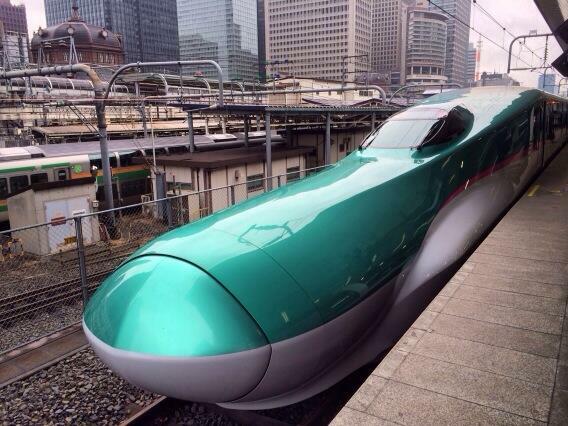 Hokkaido Railway Co. and East Japan Railway Co. will provide 13 round-trips per day on the Hokkaido Shinkansen line. The one way trip will take just over 4 hours, so technically day-trips to Japan’s far north from Tokyo will be possible. “This is an unprecedented project for the country, running through snowy areas and through the Seikan Tunnel (between Honshu and Hokkaido) as well as a section shared with cargo trains,” JR Hokkaido President Osamu Shimada said at a news conference at the railway’s headquarters in Sapporo. “We will put full efforts into starting the operation safely,” Shimada added, noting that railway operators hope the passenger influx will benefit all of Hokkaido.